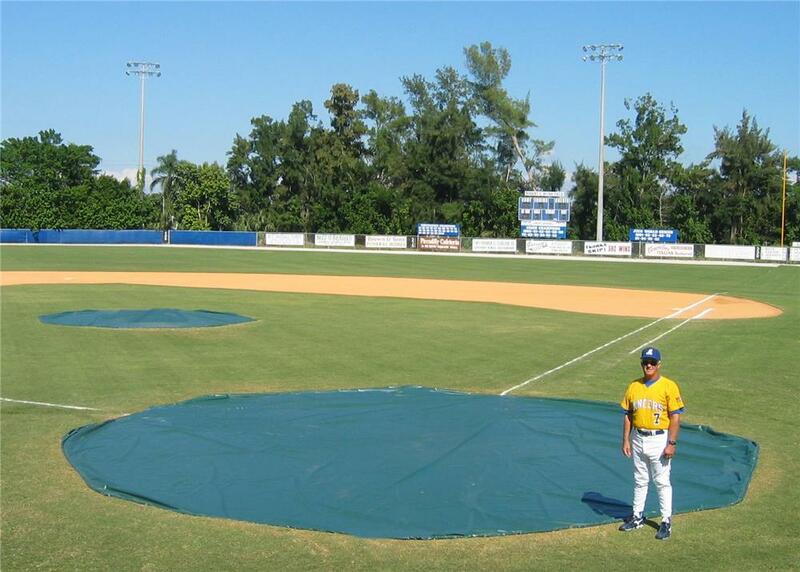 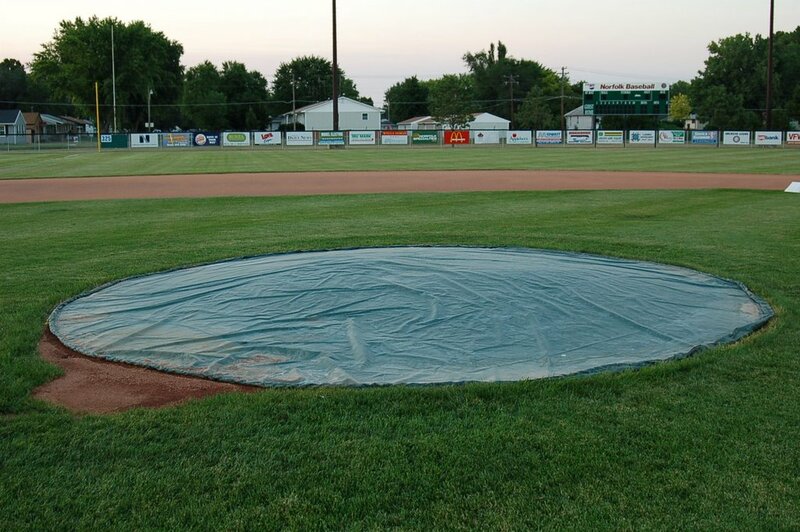 Get the rain cover the pros use for your baseball or softball field! 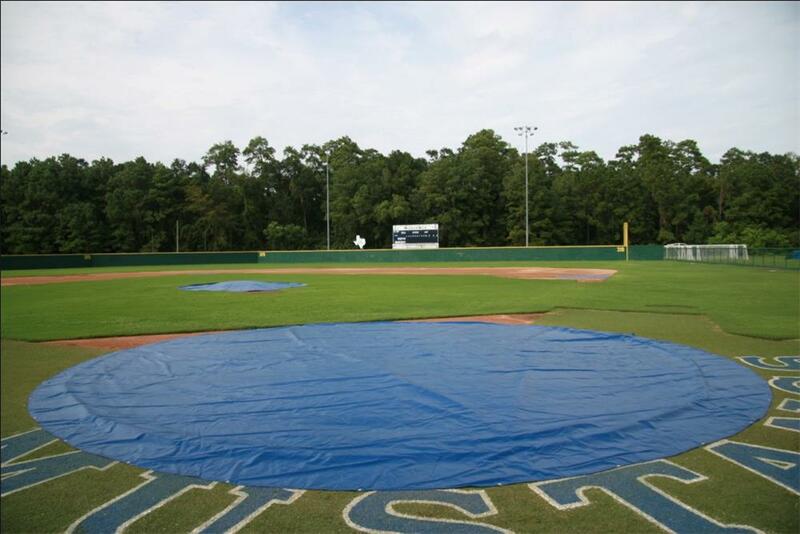 Available as a weighted tarp or non-weighted tarp in multiple material options and in standard and custom sizes to protect your field from the elements. 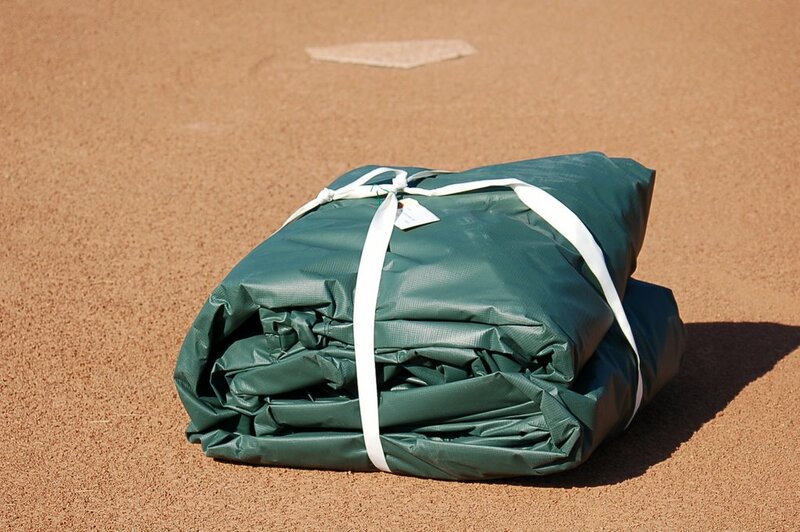 The high quality, wind weighted® tarps have chain around the entire perimeter to help the tarp stay in place in high winds without stakes or sandbags. 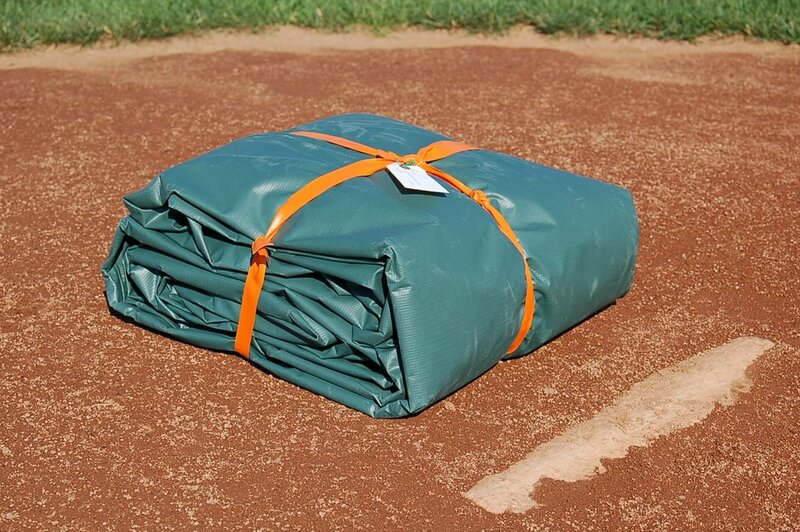 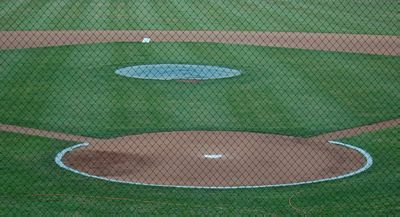 Multi-patented and virtually wind proof, these mound and base covers are the only ones you’ll ever need to protect your field from the elements. 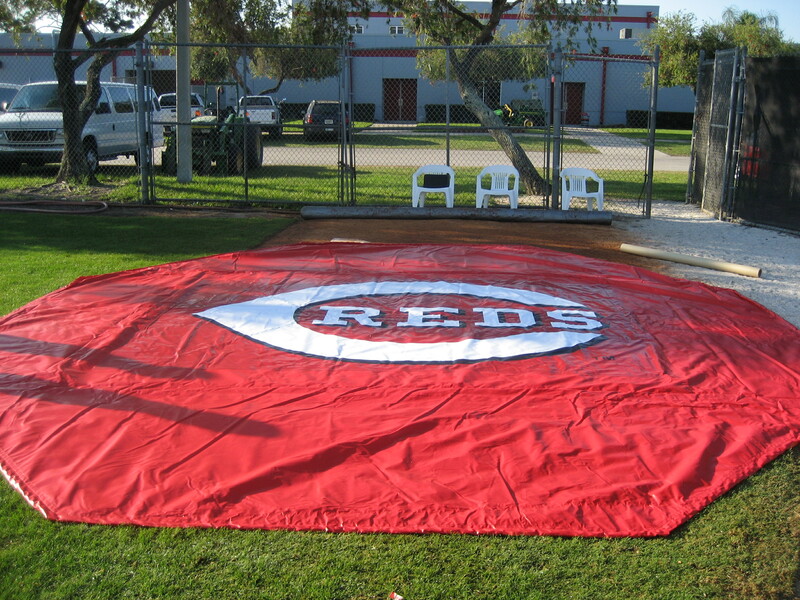 The non-weighted tarps are made of either a durable 18 oz. 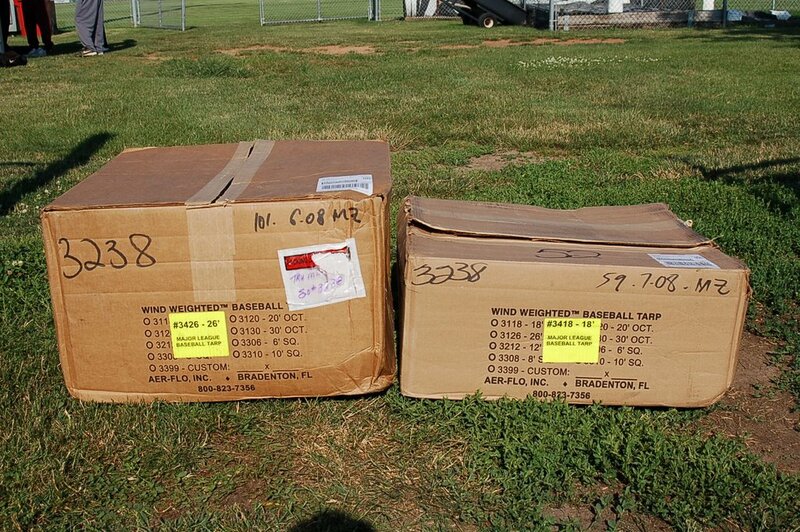 vinyl-polyester or 6 oz. 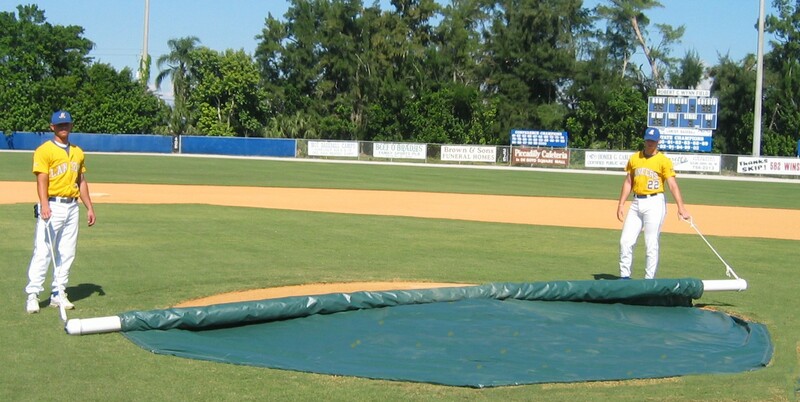 polyethylene. 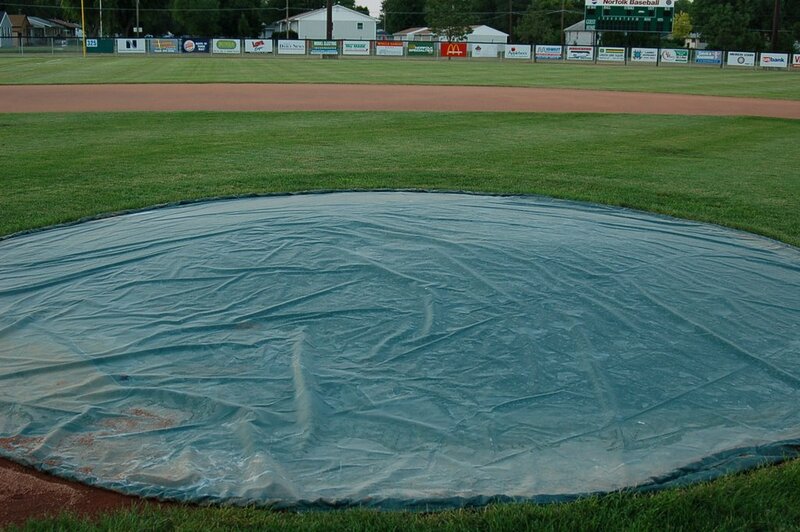 These quality tarps have grommets installed every 3’ around perimeter and include low profile ground stakes. 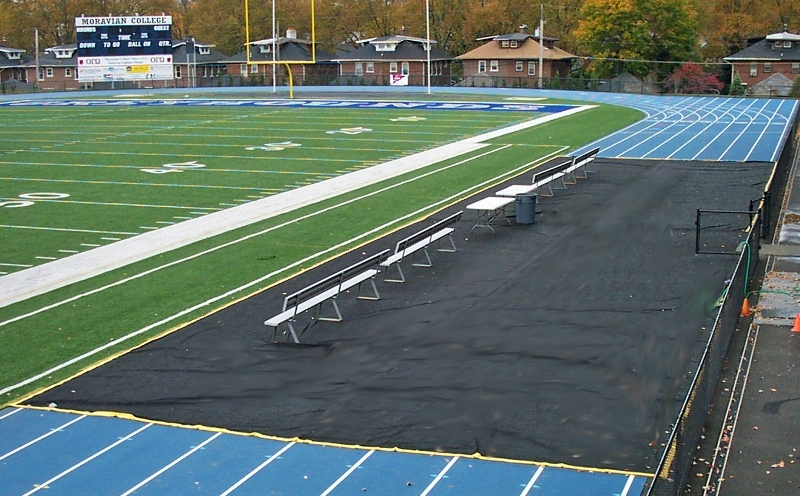 Chroma-Bond® Imprinting is available on rain covers to add your team name or logo. 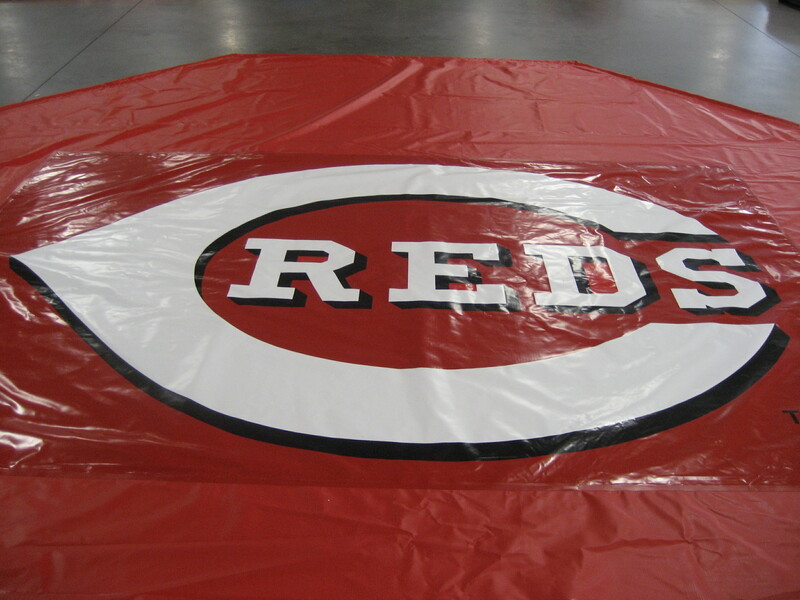 The thick, double coating process literally bonds the image into the vinyl and completely masks the underlying fabric color so image colors are vivid and true. 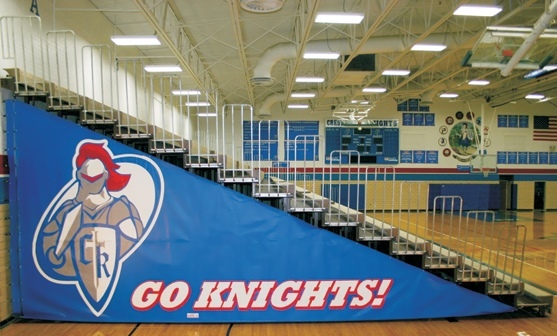 This process makes the image highly resistant to scuffing, sunlight and weathering.